Orion Physical Therapy and Active Orthopedics Physical Therapy proudly offer cutting-edge, full-service, one-on-one physical therapy to residents of Lake Orion, Midland, and Freeland, Michigan. We are committed to being the physical therapy provider of choice for our communities by providing high quality, personalized care to our patients. 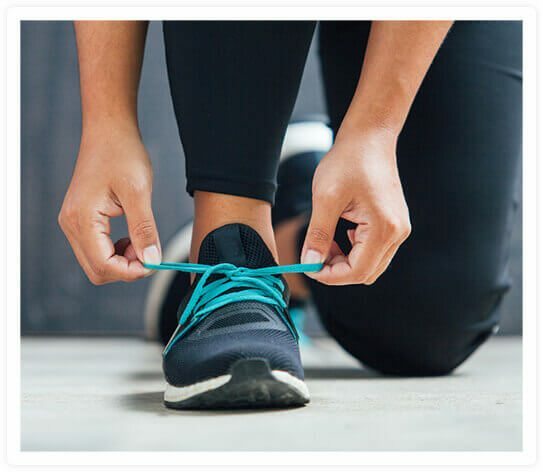 Our highly skilled and credentialed physical therapists have expertise in treating orthopedic, sports-related, and work-related conditions and injuries affecting the back, neck, shoulder, elbow, hand, wrist, hip, knee, foot, and ankle. You have probably never experienced physical therapy like the care you’ll find in our clinics. One of the biggest differences between Orion Physical Therapy / Active Orthopedics Physical Therapy and other physical therapy providers is our one-on-one patient care. Our therapists work with one patient at a time and spend more time with each patient at each visit. You will work with the same therapist from your first visit until your therapy is successfully completed. Plus, we’ve created an environment full of fun, positive motivation, and patient support. We know these qualities enhance the benefits of physical therapy. Unlike patients at other facilities, our patients actually look forward to their physical therapy visits. In addition to traditional treatments such as therapeutic exercise and strength training, our PTs specialize in hands-on manual techniques to help treat back and neck pain. Restoring proper spinal alignment and postural muscle balance stabilizes your joints and increases joint mobility. Our therapists provide rehabilitation both before and after surgery to help your body prepare for your medical procedure and then recover from it. If you have suffered an injury or condition that impairs your balance or gait, such as dizziness, arthritis, or stroke, our PTs will work with you to restore your strength, endurance, motion, balance, and coordination. To schedule an appointment, call us at (248) 814-8060 for Orion Physical Therapy in Lake Orion, Michigan, (989) 832-9300 for Active Orthopedics Physical Therapy in Midland, Michigan, or (989) 695-9500 in Freeland, Michigan.